We’ve all worked in places where the culture was memorable. Possibly it was memorable because you worked in a toxic environment where stress, mistrust, and playing CYA were the daily norms. But, I hope you’ve at least had a few experiences where the culture was one in which people felt valued, trust abounded, and it was a joyful place to work. If so, you’ll know what a school with a positive culture feels like. When staff and students feel valued, they work harder and enjoy the experience. Students who feel as if their teachers respect them will do better academically and behaviorally. A positive culture promotes kindness, civility, and respect. 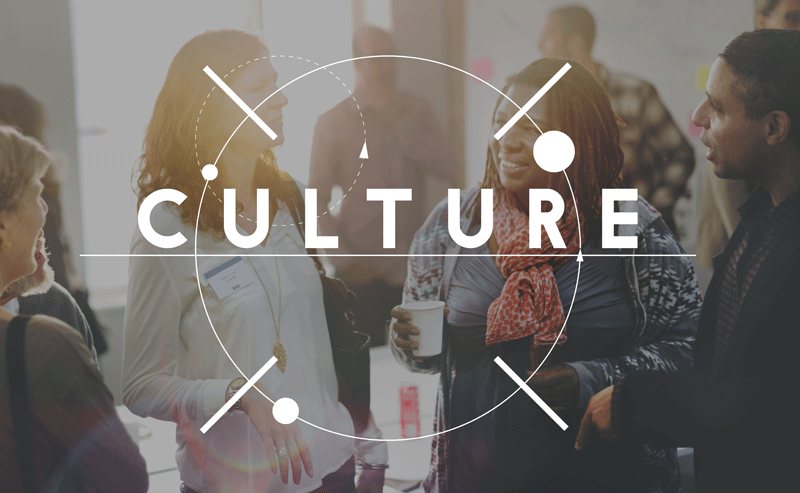 Your school’s culture exists because of the people, not the programs or curriculums. What’s your school culture like, from a staff perspective? Do you feel everyone here is treated equally (staff and students)? Do administrators, classified, and certified staff lead by example? Are there role models who stand out, and are they recognized and valued for their examples? Does your school celebrate victories and praise progress (both the large and the small successes) on a regular basis? In what ways? Now, after you share the outcomes to your questions (you can also use a survey), find out how they would describe the perfect school culture. Are those values a part of your school’s mission and goals? How can you work toward making these values a reality for both your staff and your students? Pick one and work to implement or strengthen that value over the next year. What’s your school culture like, from a student perspective? Now that you have a better understanding of how your staff views the culture at your school, find out what the students think. It is true that when role models value one another, students will tend to emulate their example. But knowing what the students feel now will help you see how far you’ve come once you’ve focused a bit of effort on building a positive school culture. How do they feel now? Ask them.Do students feel they receive positive feedback from the school personnel? How do teachers talk to students? How do teachers treat students when they are struggling? Do students feel like they could get help from a staff member, both academically and personally, when needed? Do staff members show kindness and appreciation for one another and to students? Do students feel safe while at school? Do students feel pride in their school? Their teachers? Their educational progress? Do students feel respected by the school staff and teachers? There are a few areas that most agree are essential to improving a school’s culture. Relationships: Since a healthy school culture boils down to the strength of relationships, especially those between teacher and students, value and extol the virtues of those role models demonstrating quality relationships with students. Consequences: The rules and appropriate consequences for breaking those rules should be very clear and adhered to consistently. Be sure the consequences make sense for the infraction. For example, consider restorative justice and making amends for a bullying incident. Rather than isolation, have them find a way to make amends. Problem Solving: Teach student problem-solving skills. Check out, for example, at the Boys Town Training method they call SODAS. Praise and recognition: Be generous with praise where it is earned. Kids know when they’ve earned your kudos or not, so avoid the “every kid gets a trophy” mentality, but be generous with praise when they deserve it. Be specific and avoid the generic “Good job!” comment, but compliment their specific behavior or choice to reinforce and encourage more good choices. Behind Your Back: It’s a fun twist on gossiping. It can be done at the start of a staff meeting or as a professional development exercise. Greater Good Science Center has provided a Behind Your Back example. Gratitude Board: Create a place in the teachers’ lounge or in the hallway where people can post notes expressing their gratitude for each others’ actions. Sunshine Committee: Create a social committee at your school where a few “volunteers” find ways to build staff morale and create positive events or activities throughout the year for your school personnel. It can be simple ways of showing appreciation, building trust, and adding fun to the day. A quick visit to Pinterest will provide hundreds of ideas to tweak for your school’s needs. Student Council Coffee Cart: We found this example at PrincipalsDesk.org and thought it was worth sharing. Just decorate a book cart with a tablecloth and a vase of flowers; add fresh coffee, tea or hot chocolate, and pastries. Have your student council students go from classroom to classroom treating the teachers. For less than $50, you will make all of your teachers’ morning. School-Wide Rallies: Consider celebrating achievements, creating traditions, or reinforcing school values and personal student goals. It can build school spirit and unity as well as showcase individual and school successes and strengthen school culture. Get some ideas from this Edutopia.org article about daily assemblies. Toot That Horn: You’re all aware that much of the media gives more coverage to the negative than the positive. Unfortunately, it tends to get more attention. So, if you want to improve your school culture, you must become a school success advocate and make injecting positive school stories a goal. The positive stories that reflect the successes happening in your classrooms every day are all around. Find ways to collect them; catch good things happening, and make sure these stories make it into your school social media and onto the news page of your school websites, and send them to the local media education reporters. Your efforts can counter negative coverage (that you have no control over) and help both staff and students recognize that their efforts are seen and valued. Communicate Well: Look at each of your communication methods, including your school website content, e-mails, phone messages, newsletters, social media, electronic signage, and media contacts. Are you keeping parents, staff, and the community informed? Are you telling them the “why” behind decisions that affect them, including the benefits they can enjoy? Doing so will build trust, improve perceptions, and show transparency. If you don’t communicate, your audiences will fill in the blanks with guesswork. Control the message and build a positive culture. Encourage, Inspire, and Motivate Daily: Educating is tough work. You're responsible for outcomes without any control over the influences existing in a student’s life. But, it is well-documented (and the reason people stay in the profession) that high-impact schools are the ones that foster positive relationships between teachers and students. That means having teachers who know how to listen, are empathetic, and who care. Most do. But, regular and deliberate encouragement, recognition, and motivation can raise the boat when the river’s flow slows. Use weekly e-mails, staff meetings, professional development, staff blogs, or other opportunities to encourage and remind your staff what matters and why they chose the careers they did. This applies to classified staff as well. Use links to TED talks, motivational quotes, and inspiring books; write notes of thanks, and recognize excellence publically among your staff. Start with the TED Talk; Every Kid Needs a Champion by Dr. Rita Pierson. Uplift. Your efforts will have an impact on your school culture. Keep Enemies Close: If you struggle with vocal opposition, one way to help your school culture become strong and stay that way is to invite a few of those typically opposed members to provide their opinion before you implement any new initiative. You may see that this early involvement turns opponents into proponents. These may be community members, governing board members, or even staff members. Give it a try! Help Parents Get Involved: An effective school culture needs parent engagement. However, school personnel often misunderstand the challenges that keep parents from getting involved or even showing up at school events (like parent conferences). A few common challenges might be the following: 1) Problem: they feel like no one ever listens to them. Solution: survey your parents to find out what is most valuable to them—what obstacles they face. 2) Problem: they are too busy with multiple jobs and children in several schools. Solution: ask them how they prefer to be contacted, and use whatever works, including phone calls, texting, or a home visit. 3) Problem: no one at the school cares about my problems or my child. Solution: To overcome past negative experiences, plan a “get to know you” event early in the year. Make it a fun, less formal activity like an ice cream social that gives parents a chance to meet teachers in a positive setting. Build Student Ownership: To involve students in building a strong school culture and letting them leave their own positive mark on it, check out these ideas from School Leaders Now called 12 Ways to Build Student Ownership of School Culture. We hope some of these ideas will help you start building a positive, rewarding, and effective culture in your school! It is worth the effort. Oh, and use your progress and successes as fodder for stories in your school communications. When you’ve got a positive school culture, be sure you let your community know about it through the stories you share on your website and in your social media.